"so, there's this white rapper right? and he's just started to cause a stir in europe. at the risk of sounding overtly westwood, his mixtapes are tight and his freestyle game's on point. except, rather than talking suburban north america here, we're talking industrial north england..."
So, there's this white rapper right? And he's just started to cause a stir in Europe. At the risk of sounding overtly Westwood, his mixtapes are tight and his freestyle game's on point. Except, rather than talking suburban north America here, we're talking industrial north England. So press the pause button on your already beat up promo copy of I Love College and step away from the Asher Roth hype machine for just one minute. World, meet the finest thing Huddersfield has had to offer our scene since it formed the backdrop to Jehst's beautifully bleak masterpieces. On the surface, Jack Flash doesn't appear to harbour anything particularly special or out of the ordinary. His appearance almost personifies the stereotype of British working class and his reserved attitude towards interviews doesn't go very far in helping us to decipher the mystery behind his buzz. But then why should it? Jack is a rapper and he's never claimed to be anything else, we were the ones who shoved a Dictaphone in his face and expected him to sporadically spit out wisdom - our relationship with him is that of an artist and a listener, a performer and an audience. This simple idea tells us more about what kind of a person Jack Flash is than any set of forced interview questions ever will and it places an emphasis on his music that's often lost. In an age where newspapers are littered with images of pop stars exposing themselves and regular contact with the internet keeps us up to speed with our favourite artist's bowel movements; there's something fantastically uncomplicated and undeniably Hip Hop about Jack Flash's straight forward approach. On that note, let's talk about the man's music and believe me, there's plenty to talk about. It's not that Jack Flash has been a particularly prolific recording Artist, especially when compared to some of his American contemporaries. In fact, Jack's back catalogue starts to resemble The Cheeky Girls' discography when compared to other rising stars such as Asher Roth's right hand man Charles Hamilton who boasts an output ratio of 13 mixtapes to his 1 album. Ever since a certain Curtis Jackson raised himself to mega stardom through his disposable product in the early noughties, the yanks have been mixtape mad. And you don't have to look far before you start to find a trail of aborted rap careers founded on this blueprint (for the text book example google DJ Kay Slay's lost protégé Papoose). Jack Flash is all about quality over quantity, a refreshing concept for any Hip Hop head who tends to spend large chunks of their spare time trawling unfruitfully through the latest 20 odd track Method Man release. The Union Jack Album is a real treat, it takes all the highlights that you'd expect from a series of mixtapes and scatters them across the album. There is very little filler; each collaboration is well selected, mulling over a broad selection of themes. Jack Flash's long time musical partner Apatight handles most of the production duties in what turns out to be a very well rounded and mature sounding long player. Now for Jack Flash's trump card and the aspect of his music that really sets him apart from the competition. 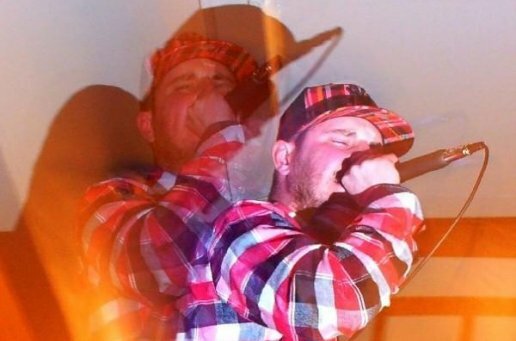 If flying the flag in his debut album title wasn't enough, Jack represented the UK in last year's EOW (End of The Weak) freestyle competition. In 2007 at the first ever EOW championship, Newcastle's very own Stig Of The Dump wowed the judges and claimed the international title at the event in France, meaning that 2008's event was pitched on home soil, at Speaker's Corner in London. After successfully battling his way through the UK heats, Jack went head to head with the best freestyle MCs from America, Germany and France, bringing the title back to UK shores for the second year running. In the run up to the release of The Union Jack Album back in 2007 britishhiphop.co.uk asked Jack Flash to describe a typical day in his life, to which he responded "Get up and turn on the PC, loop the beat, write a rhyme, go to Apatight's flat. There's normally a project on the go so we're usually mixing or recording something. In the evening maybe go for a few drinks. Go to bed, wake up and do it all again." I'd like to think that in a music industry where success is so often dictated by first week sales, crossover potential and online presence; Jack Flash's raw talent, disciplined work ethic and prevailing love for Hip Hop has become the driving force behind the continued acclamation for one of the UK's more promising urban talents.